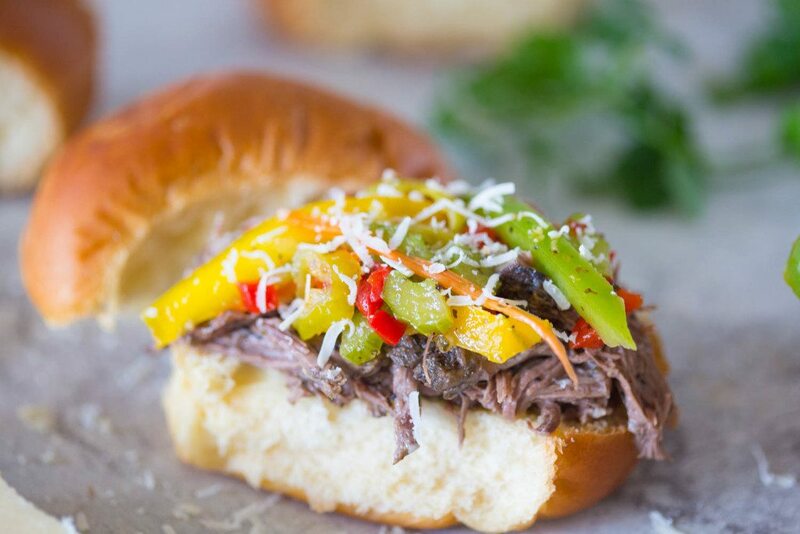 Slow Cooker Italian Beef with Homemade Giardiniera is a delectable and super easy dinner or finger food recipe that will serve a crowd! It has now become my goal in life to bring y’all recipes which are quick, simple, and made with real food. 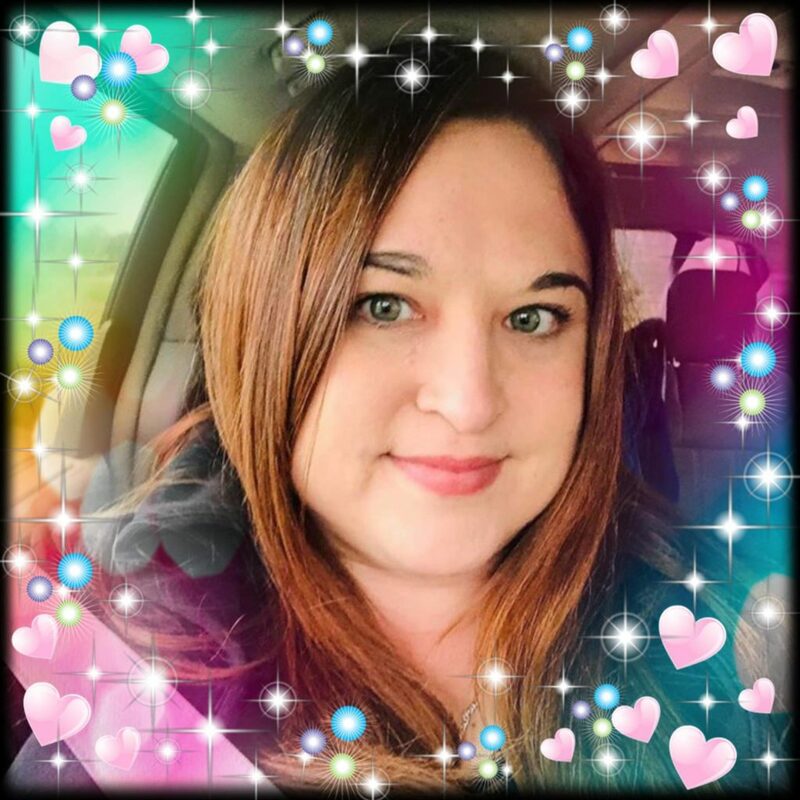 Up until recently, I had been sharing a home with my husband, 2 year old son, and in laws. Since there always seemed to be someone around who could ensure my toddler wouldn’t fall down the stairs or stick his finger in a light socket, it made sense for me to create recipes which were creative and tasty, but may have been a wee bit complicated. 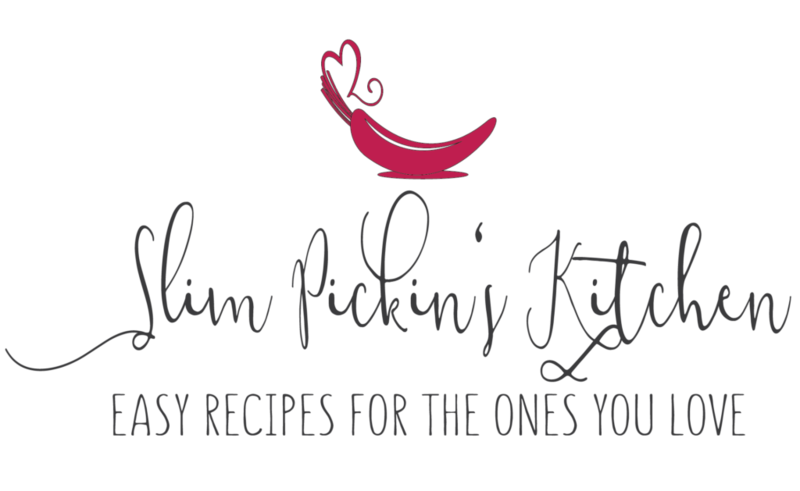 Now that I’m fully in charge of our household and it is my responsibility to put meals on the table in a timely fashion, I’m learning what it takes to make quick and healthy meals that will satisfy the whole family, and I’m bringing y’all along for the ride! As with all people in my shoes, my slow cooker has become my best friend so, believe you me, there will be many a new crock pot recipe (along w/ seafood!) on ze bloggy blog in the coming weeks. 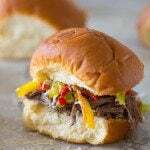 This Italian Beef recipe was inspired by my sister-in-law who makes a similar version which she serves w/ slider rolls and Parmesan cheese. Hers is delicious and is always a hit with our family so I decided I would make my own version with a just a touch of added pizzazz. I’m also recommending that you serve this dish to suit your own families needs! Trying to cut out carbs? Serve it with some mashed cauliflower instead. Want a sandwich larger than a slider? Pick up some Amoroso rolls from your local grocery store bakery when you’re on your weekly shopping run. My husband and I love a good sandwich every now and again and, since we have a toddler, it makes since for us to keep with my sister-in-law’s idea and use small dinner rolls instead. Again! Whatever floats your boat will work here. Please let me tell you Homemade Giardiniera sounds so much more complicated than it is. It really is nothing more than a bunch of vegetables pickled together in a sweet & spicy dressing. For best results, make the giardiniera the night before you make the beef so you can allow the flavors to mingle. If that is not an option for you, no big whoop! Throw it together when you can or even buy a jar of it already made at the supermarket. Italian Beef is a killer recipe to serve during March Madness mingles, St. Patrick’s Day parties (replace the wine w/ guinness! ), or even for Easter Brunch. The dish is hearty enough to satisfy all appetites, tender enough for your toddlers to shovel it in by the handful, and simple enough to throw together so you can polish off the bottle of wine while enjoying the meal with your family. In a small bowl, stir together Italian seasoning, garlic, onion powder, salt, pepper & olive oil. Rub the mixture all over the beef and place beef in crock pot. Add stock, red wine, pepperocinis and juice, cover, and cook on low for 8-10 hrs. Remove beef from juice, shred with two forks, remove and discard any fat or grissle, and place the shredded beef back in the juice in the slow cooker. 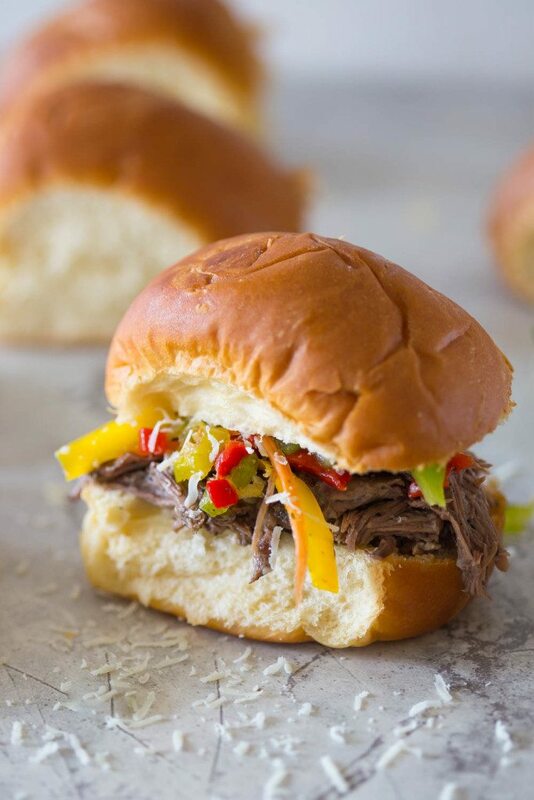 Serve Italian beef warm on Amoroso or slider rolls (or mashed cauliflower) and top w/ Homemade Giardiniera and freshly grated Parmesan cheese. In a large bowl, stir together vinegar, pepperocini juice, Italian seasoning, garlic, sugar, salt & pepper then slowly whisk in the olive oil until well blended. Add chopped veggies, jalapenos, pepperocinis, and parsley to the dressing and toss to coat. Allow veggies to marinate until ready to serve. 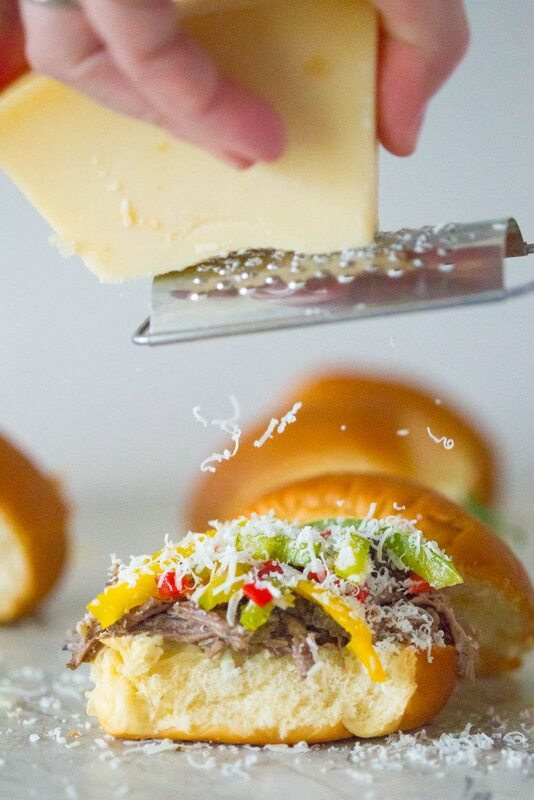 Serve cold on top of warm Italian Beef. Thanks, Mary! Let me know if you try it! This looks super yummy! I love that cheese being grated on! Can’t wait to try this! My mother always had jars of homemade giardiniera in the cupboard! I love your use of it with slow cooked beef! 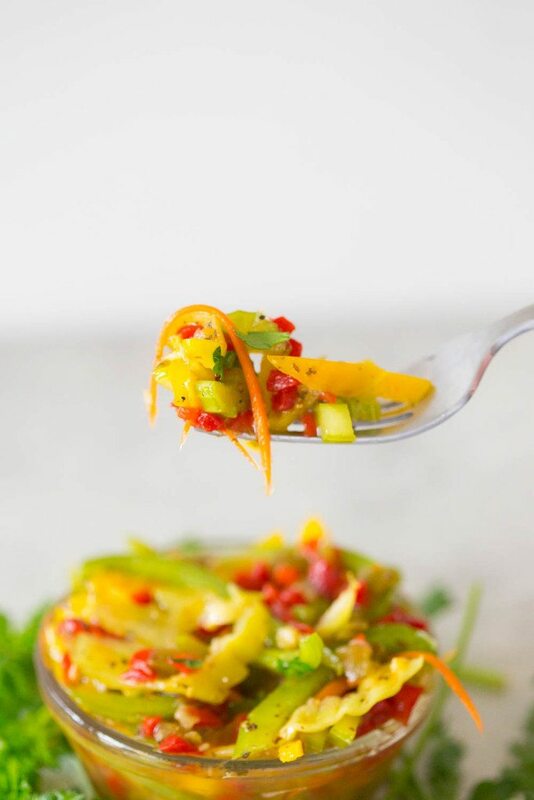 Yes to this homemade giardiniera! I feel like you could eat this stuff on anything!! Sounds amazing. Thanks for sharing! I have been eating this stuff on everything! Sandwiches, tacos, straight from the jar. It’s awesome!